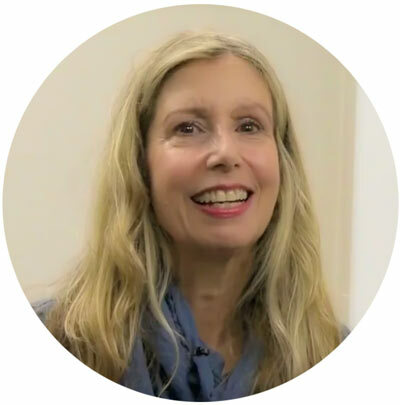 Edely L. Wallace, E-RYT, CYT, CDT, MLD, MT, is a master Yoga Instructor with over two decades of teaching experience and training in Belgium, Brazil and the United States. Edely is a former Executive Board Member and Treasurer (2002-2005) of the “Yoga Alliance” and, formerly held the position of Yoga Consultant for Orange County Public School (1999 to 2003) in Orlando, Florida. At the end of 2011 she released her first Lymphatic-Yoga book “Lymphatic Yoga® and the Water of Life” as part of a trilogy about Lymphatic-Yoga. She is now writing her second Lymphatica-Yoga book that will be available soon. Edely was first exposed to Yoga after a serious road accident that took the lives of more than thirty people in the 1980s. Faced with multiple fractures, surgeries and ensuing complications she dedicated the next five years of her life to an intense study of Yoga which helped in her recovery. From 1988 to 1992 she studied under the famous author and Yoga teacher Andre Van Lysebeth in Brussels (Belgium). After that, she trained in the US in several Yoga traditions such as Iyengar, Desikachar, Kripalu and Sivananda. Edely is a teacher trainer who has been teaching Yoga workshops and retreats nationally and internationally. Since 2000 has trained over 350 yoga teachers. She writes for local magazines about Yoga and health and has helped thousands of adults, children, disabled students, pre and post-natal women and those with accident related injuries to successfully reach their goals. An accomplished teacher in asanas, yoga-nidra (deeper relaxation) and pranayama techniques, she also designed and teaches the unique approach Lymphatic-Yoga. Over twenty years, Edely has been studying lymph therapy and combining Yoga and Lymphatic drainage only in her own yoga practice and now has released her findings to share these results with others. the traditional “Vodder School” (MLD) method in Walchsee, Austria (2012), under Hildegard Wittlinger. Edely has a B.A. in Philosophy from the University of Central Florida (UCF) and studied Mathematics in Brazil (FAFI) and has taught Math at the Junior High School level. Her passion for Yoga becomes evident in the enthusiastic, profound, gentle but precise way she leads the classes, establishing an environment of confidence, well-being and contagious joy in all who follow her teachings.